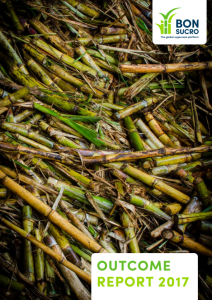 Each year, Bonsucro publishes its Outcome Report to share the latest data and insights on the progress made by the sugarcane sector towards sustainability. It is completed by looking at operators participating in the Bonsucro platform and/or achieving Bonsucro certification and is based on thorough analyses carried out by Bonsucro using different sources of data. 2016 was a remarkable year for Bonsucro and its members. The number of Bonsucro production certificates grew by 24%, with 12 new certified mills, including first certifications in Guatemala, Nicaragua, Dominican Republic and Thailand, more than doubling the countries in which there are Bonsucro certifications to a total of nine. Membership also grew by 4.5%. Bonsucro also developed the Farmer Recognition Protocol, with three farms being recognised for their performance against the farm-only indicators. 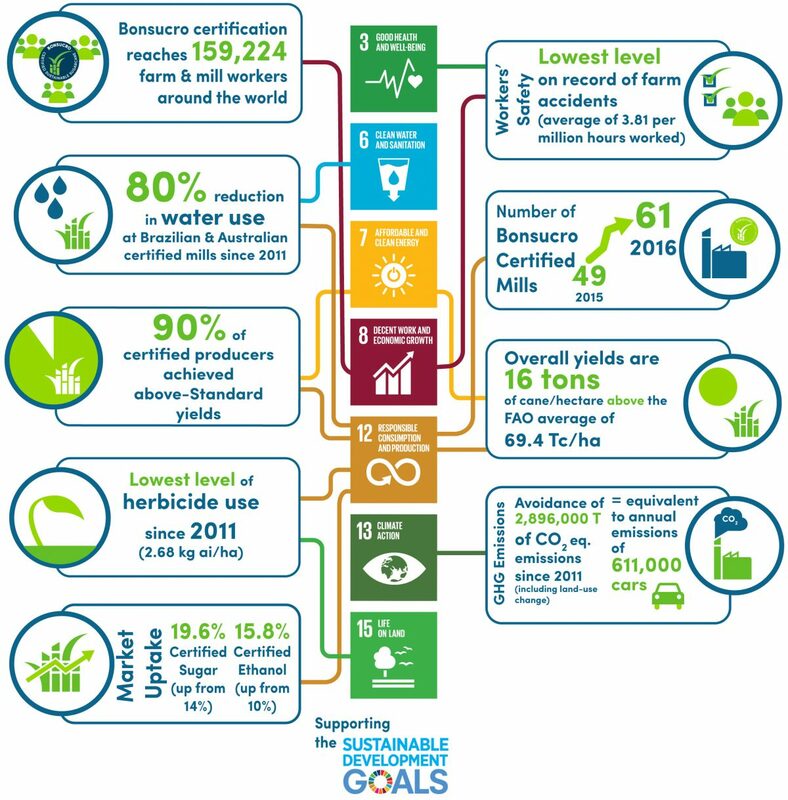 The report also gives an insight into how the progress made by operators through their participation in the Bonsucro platform is supporting the UN Sustainable Development Goals (SDGs), such as Clean Water & Sanitation (SGG 6), Responsible Consumption & Production (SDG12) & Climate Action (SDG 13).